Toronto is experiencing a rental renaissance with the number of new apartment units under construction hitting a 25-year high this year. 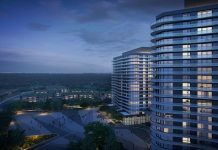 There were 26 apartment buildings under construction in the Toronto area in the third quarter of the year, containing more than 6,500 rental units, according to a new report by real estate market research firm Urbanation Inc. Developers have proposed another 43 rental buildings containing more than 10,000 units. Most of the buildings are being developed in the city core, although the list of projects includes several in the inner suburbs, such as Scarborough and North York, along with a handful in the 905 region as far afield as Newmarket and Ajax. Both developers and institutional investors are turning to the rental market for new opportunities. Riocan Real Estate Investment Trust, one of Canada’s largest retail landlords, has one rental building under construction as a joint venture in uptown Toronto and is proposing to build six more. Insurance companies Great-West Life Assurance Co. and Sun Life Financial Inc., along with Cadillac Fairview Ltd., the real estate development arm of the Ontario Teachers’ Pension Plan, and private equity firm KingSett Capital are all either building or proposing new rental construction in the city. Toronto has continued to feel the pinch of an extremely tight rental market despite a glut of newly built condos. The city’s rental vacancy rate sank to 1.3 per cent last year and shows little sign of easing up this year. The data suggest that as soaring home prices push people out of the housing market, more residents are opting to rent. Those who do tend to rent for longer than in the past. The strength of the condo rental market, coupled with record-low interest rates and land and construction costs that are rising faster than prices for new condos, has prompted many developers and institutional investors to make bets on the rental market. Over the past 12 months, far more existing condos have been rented out rather than resold, a change from 2011, when the number of rentals and resales on the market was roughly equal. Among the 20,000 condos that have been completed over the past 12 months, 32 per cent have been leased through the Multiple Listings Service, up from 25 per cent during the same period last year. The rise in rentals also comes as the city is undergoing a surge in new condo development. There are eight times more condos under construction in Toronto than rental units, Mr. Hildebrand says, and many of those condos will likely be purchased by investors who also plan to rent them out. Nearly 15,000 new units, from both condo and apartment buildings, are expected to hit the rental market every year for the next few years. “If the market has already reached peak rental demand, higher vacancy rates would be expected over the next couple years,” Mr. Hildebrand writes. Already the jump in new condo supply in recent years has kept rents from rising too quickly – average rents grew by just 0.4 per cent in the third quarter. Toronto isn’t the only city to experience a renewed interest in rentals. 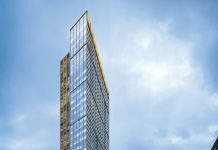 Hildebrand has conducted feasibility studies for investors and developers interested in building rentals in other major cities, such as Vancouver, Montreal, Calgary and Ottawa.